Writing about how to dominate your social media, and pointing out where you’re going wrong, are two very different subjects altogether. There’s plenty of information on this website that will help your with your social media, but I’ve written this post to make sure that you’re not falling for the common pitfalls that await you. I know this sounds like fluff, but bare with me, it’s actually very important. I’m constantly running into fan pages who are now using Timeline, but haven’t set a cover photo – that’s just lazy. There’s countless fan pages, Twitter accounts, and Pinterest accounts, with no bio whatsoever. If you don’t let people know what you’re about, how are they supposed to know whether they want to follow you or not? I teach expert knowledge and techniques to photographers, from beginners through to advanced. It tells you exactly what I can provide you, without forcing someone to read some lengthy paragraph (which they probably wouldn’t). If this information isn’t included, then the page just looks naked to me, like there isn’t a human running it (we’ll get to that further down the page). The same goes for when you ask people to click like in your posts, something as simple as ‘If you would like to see more content like this, click like below’ can work a treat. This was a struggle I had in the early days of ExpertPhotography. I couldn’t understand why people weren’t clicking like onto my fan page when I wanted them to, and then it dawned on me like a smack in the face; I wasn’t making it easy for them. Asking someone to ‘Come on over to the fan page and click like’ isn’t exactly making it easy for someone to who may want to like your page, especially when some many other pages make it so easy. As soon as I installed the Facebook like box at the bottom of every post, and in the sidebar, I started seeing way more new fans. I know the complaint, Facebook isn’t the most attractive widget, and it probably doesn’t fit in well with your design (this was a complaint of IncomeDiary), but needs must. Most people are used to seeing them these days, they don’t really ruin your design too badly. Oh wow, I wish someone had pointed this out to me. The importance of being an early adopter was lost on me when I first started, and I ignored a very important source of traffic, which now feels like throwing away thousands of dollars. The social network? Pinterest. It was over a year ago when I was checking my Google Analytics and I saw traffic form some website called Pinterest, and I had a brief look, thought it looked good (but was clearly a website for women), and moved on. If I had jumped on board then, when the website was nothing (it’s now the third largest social network in the world, after Facebook and Twitter), I could have built an account which would probably be 100 times the size by now. I liken it to claiming the Facebook fan page for ‘Photography’ when you run a photography website. If I was an early adopter, and got on board back then, the traffic I would see from Facebook now would be enormous. Constantly check your Google Analytics for new sources, and see the content they’re linking to, and write more content like that. Not every website is going to be the next Pinterest, but once a year or so, there’s going to be a website that has the potential to drive lots of traffic to your website, and you need to jump on at the start of the wave. Sharing is caring, and that’s exactly what social media is all about. You want people to constantly share your content over their preferred networks, because that provides you with traffic and recognition. But for people to share, you really need to make it easy for them. You have to remind them that they want to. The first thing you need to do is install some sort of sharing plugin, I use Sharbar on my website Mike uses Digg Digg on this website. I find that these bars work better than buttons at the end of a post, because they’re constant reminders to people, but you can decide for yourself. Another thing you can be doing is actually asking people to share it. Something like ‘Sharing is caring, if you think others would enjoy this post too, please share it’ in your footer works really well. It adds a little bit of guilt to the reader who feels like they should be sharing it, and it reminds them that they can share it too. Just ask, you may be surprised by the results. I get it, you might not have much content just yet, but that’s no excuse. I post at least five times a week on my Facebook, just to let people know I’m still there. Facebook in particular will vary the amount of people who see your content, dependant on how active you are. You need to make yourself known. I post every day to Twitter and Pinterest, because although people will always see what you’ve been posting, you can get away with sharing more content, because that’s the norm. I probably post to Twitter around 10 times a day, and then always post any Facebook posts or Pinterest posts to Twitter too. I’ve never had complaints about too many posts and I have 11,000 followers. Pinterest is a little bit different, because I post around 5 times a day, every day. Posting lots of good content here is encouraged, just be sure not to only post your own content, as this puts people off. Oh, and make sure you post at the right time. Check your Google Analytics, and see which countries send you the most visitors. If you’re anything like me, it’s the US and the UK. You need to time your posting so that is matches up with the right countries. I post on Twitter all day, but lets have a look at Facebook and Pinterest, which I post to at different times. Knowing my audience, I post at 5pm UK time on Facebook, because I know that in England, people are finishing work, and in the US east coast people are having lunch, and US west coast, people are waking up. These are all key times to post to Facebook. You can post earlier on in the day, but it’s not usually as effective, unless it’s a really popular post. Pinterest is a little bit different, because people seem to be using their accounts at different times. At times that annoy me, here in the UK. If you want to find out when the most popular time is to post to Pinterest is, you have to use Google Analytics. Make an Advanced Segment to include Pinterest and m.Pinterest traffic (mobile), and then only view that traffic. 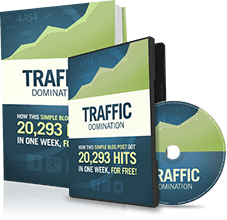 This will allow you to break down when your website is most popular with that source of traffic, because rather than looking at it on a day to day basis, you can look at it by the hour. These are the times that I find to most popular on Pinterest. So 3am and 8pm is when I should be posting to Pinterest, which is when I’m asleep and when I’m eating dinner. But that’s fine. I usually don’t sleep until very late, so I post right before I go to sleep, and allow other others to repin it, and I also at 8pm, no big deal. Great information to know. If you would like to schedule your posting, try using Pingraphy. Jack of all trades, master of none. I don’t know if that’s a british expression, but it means that you’re better off focusing on a few different aspects of social media, rather than every single social network available. Don’t spread yourself too thin. I don’t use Google+ (still not entirely sure how it works), and I automate Twitter (except for replies), which frees up the time I need to focus on my top 2 referrers – Facebook and Pinterest. If you’re anything like me, you probably have a notebook with a never ending list of stuff that needs doing in it, and there never seems to be enough hours in the day. 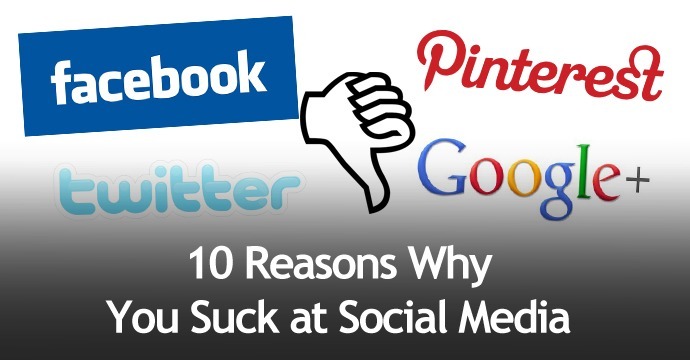 Rather cover many social networks poorly, I made a conscience decision to only focus on the best networks in my niche. Social media is only a small aspect of all the work that I do in a single day. The traffic can be good, but I need time for many other tasks too. Grr, this is a real pet peeve of mine. Yes, I’ve admitted to my Twitter being mostly automated, but there are exceptions to the rule. Firstly, even though Twitter doesn’t technically allow automation, it’s widely accepted by Twitter users, so long as you’re providing a service that they’re looking for. I have my human side of Twitter where I reply to tweets, and post from Facebook and Pinterest, but the automation lives on, and that’s fine. Now lets look at when automation isn’t allowed. Well, if you’re using a program called HootSuite, I’d go ahead and uninstall that now. When you post to a social network like Facebook, using any automated program, people feel an instant disconnect. Think about it, when you see ‘via HootSuite’ or something similar, doesn’t it feel like you’re talking to a robot and not a person? People like to talk to other people, not robots. I see this mistake all the time, and I’m pretty adamant that people stop making it. I have started to see some Pinterest automation software surface, and unfortunately it all seems to be Windows based, and not Mac (which I use), so I can’t test it out yet. But to be entirely honest with you, I can’t really see the advantages. I can imagine it’s just very agressive pinning and following, but I don’t agree with that strategy. You’re better off having a trusted hub for people to follow, in my opinion. This might seem like an odd one, but it fits in nicely with the point I made above about being automated. People want to make a connection with a person, not a machine. The same goes for companies or websites; if you can put your face on it, you’ll find that people are more likely to follow you as a person. 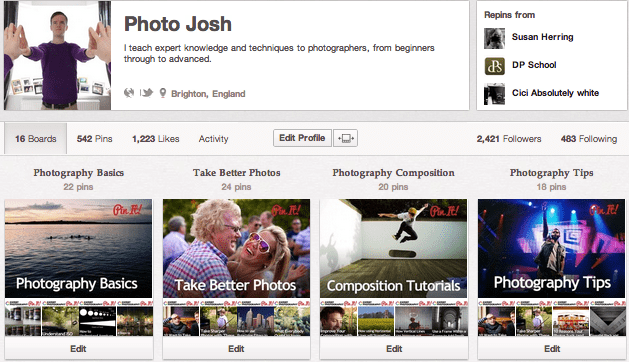 My Pinterest and Twitter username is PhotoJosh, so already people know what my name is, and what it is I do. But I go a step further than that, because most people know me because of my website, and not my social network. At the bottom of every single post, there’s an about the author widget, where people can read just a small paragraph about myself, see my name, and a photo too. After reading multiple articles, they know who I am. I recently launched my own forum, and I was surprised by the amount of people who were mentioning me by name, as if we were old friends. I was just ‘Josh’ to those guys, which just goes to show that this can really pay off. I thoroughly recommend putting your face on your business/blog if you can. This is one of the biggest no-no’s in the game of social media, but probably one of the most commonly broken rules. It’s easy to see why you might think it’s a good idea to only promote yourself, the reasons are obvious, but I’m going to tell you why you’re wrong, and to do so, we’re going to look at Starbucks. When it comes to restaurants/coffee shops, there is no business in the world with a more extensive social network than Starbucks. Whether it’s Facebook, Twitter, Google+, Pinterest, YouTube, etc. Starbucks almost always comes out on top with the most followers. Lets have a look at their Pinterest to see what they promote to their fans. These are some of the things we love: coffee, food, music, inspiration. But most of all, we love sharing these things with you. Nothing like ‘Follow us for coffee and coupons’ or something equally self-promoting. And have a look at their page, it’s all food, coffee and design related, nothing to do with their business. They see the value in stepping back and becoming a brand that their customers can relate to, and find value from. Check out their Facebook page with 32 million fans. Very little self promotion, mostly nice images, messages, and polls, but it’s certainly not hurt their business at all. The point is, you’re better off only promoting yourself 50% of the time, and the rest of the time promoting content that other people want to see. That way you’re providing them with a service and they’re more likely to follow you. That’s all from me today, I hope you’ve learned a thing or two, and can stop making the mistakes that so many other people are making. It will give you the edge. The way I see it, you probably know enough about social media right now to start your own side business! I like the idea of a blurb about myself at the end of each post. How do you do this? Is there a WP plugin? I think my biggest mistake is that I don’t post often enough – usually only after I publish a new post or come across a great post published by someone else. the best info i have come across this week. Josh can you please give me the name of a good automation software. But personally, I hope that internet marketers don’t flock to Pinterest. It’s pretty annoying how IMers find a way to seep into every aspect of the internet. Can’t a person just look some photos without being pitched to by yet another marketer? Some really great tips here Josh. I have now realised so many things I haven’t been doing right. They most importantly make a lot of sense. You don’t mention LinkedIn. You don’t like it? Have you tried it? Personally I have never seen more than a handful of people use it successfully enough to warrant IncomeDiary mention it. You are the man! Informative, comprehensive, and funny as heck. Best believe that this information will be of help to many (including myself). I too, still have yet to dive head first into Google +. It’s coming along. Your insights are marvelous…particularly about how Starbucks doesn’t self-promote 100% of the time. With that said, though, do you think that it’s neccessary to self-promote more often when your services/products have yet to penetrate the market? What is your thought on that? Haha totally agree with that! I’ve seen so much automated stuff posted from that program and it annoys the heck out of me. I refuse to use it even though some of my peers use it and swear on it. Thanks for all the great info. Already implementing some of your advice!